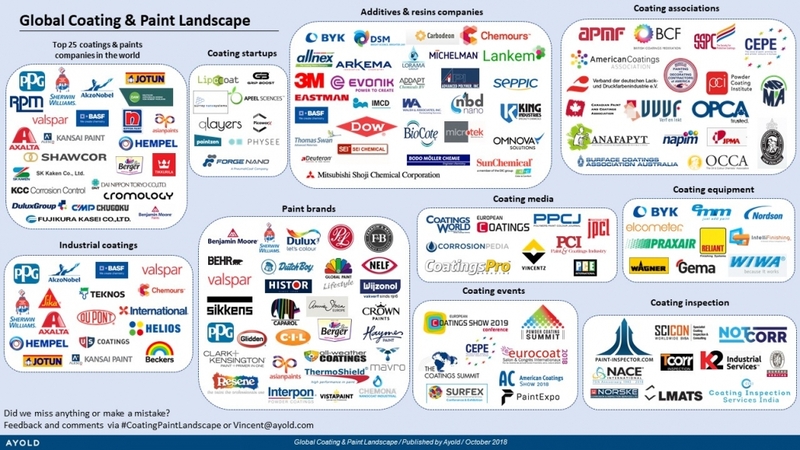 We are proud to present the latest Global Coating & Paint Landscape. With a few updates including media, events and industrial coatings manufacturers. Plus we added lots of companies suggested by you! Did we miss anything or make a mistake? Feedback and comments are always welcome. Please send them to Vincent@ayold.com or use our contact form.